CAA has been training a cohort of outreach specialists to help community members exercise their leadership potential. Comprised of alumni from CAA’s Leadership Development Institute, these specialists will be working to engage community members who are directly impacted by changes in public policy affecting immigrants. For example, outreach specialists will be sharing information about Prop N and noncitizen voting with new and newly-eligible immigrant voters. As directly-impacted community members themselves, the new outreach specialists are uniquely able to provide important information that is linguistically and culturally appropriate, and to appreciate. 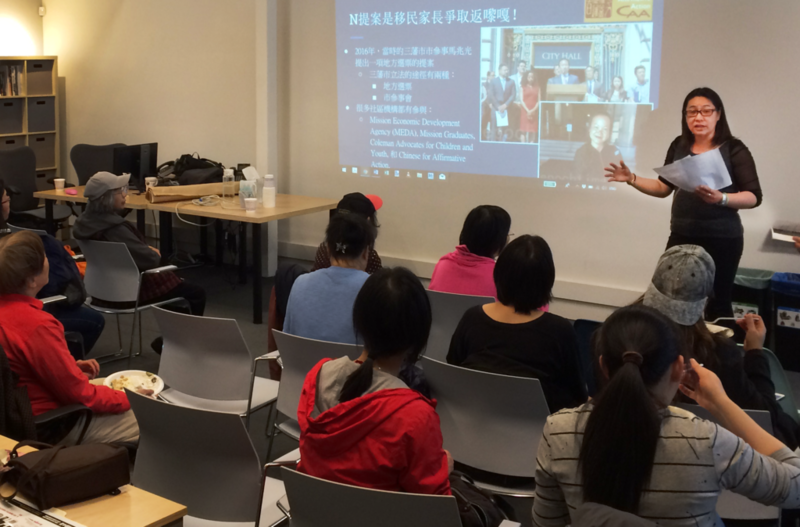 Outreach specialists have and will continue to receive intensive training, including the history of voting and civil rights, and is one measure that CAA is taking to deepen the leadership pipeline within our limited-English proficient Chinese community.